Bein Sport Spain started today in Astra 19.2E in the package Movistar+ formerly named Digital+Spain . there are two channels SD and HD (BEINSPORTSHD - BEIN SPORT) Both channels will broadcast all Champions League and Ligue Europa matches and other matches from different European Leagues. The other channels (BEIN SPORT MAX) will be added before the resumption of matches Champions League and the surprise they are working with two languages (Spanish and English). Orange TV France has been added again to our servers, Now all BeIN Sport Hotbird 13°E (BeIN Sport 1 HD - BeIN Sport 2 HD - BeIN Sport 3 - BeIN Sport MAX 4 - BeIN Sport MAX 5 - BeIN Sport MAX 6 - BeIN Sport MAX 7) working on our servers. The channels was tested on All Vu+ Model and Dreambox with CCcam emulator and working very good, Our team is begin to test some other receivers brand for check their compatibility with the new ECM Orange France. Earlier today approx at 10:30 GMT Sky has started huge load of attacks on 09CD skyit cards. We think thah this new ecmhead has been changed by sky ecmheaderwhitelist = 8070B400B001,8170B400B001 we hope that oscam team will be fix soon. At the moment we are monitoring the situation and doing everything we can to make this problem go away. Updates will be announced accordingly. 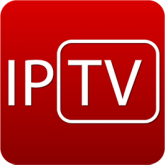 (03/06/2015) : Most awaited Official IPTV BiloSatCCam Finally launched ! All you need is internet speed of MIN 2mb for SD and 5MB for HD anywhere in the world! Easy to set up with the best quality, take your favorite channels with you wherever you go home or away and always on the go. More than 500 channels available plus unlimited HD movies and Tv series on demand. you can check all channel list available . More than 50 HD channels from sky will be added next few months as a measure of the request and at no additional cost to subscribers. (12/03/2015) : Orange Tv France available on server BiloSatCCam ! (25/11/2014) : PPV Primafila available on server BiloSatCCam ! (15/10/2014) : SD channels Sky Italy are back to server ! The famous package Sky Italy now are back to cardsharing with old cards caid 093B and 0919, BiloSatCCam happy to inform all our customers that we have these cards local in our server and we confirm all SD channels Sky Italy available without freeze guaranteed except the PPV Prima Channels still no available. (13/06/2014) : DSTV Africa in Eutelsat 36°E was stopped ! (27/05/2014) : For only 96h get 6 cline on each new subscription! Now and exclusively on BiloSatCCam get 6 Cline instead 4 on each Yearly or Lifetime subscirption ! Don't miss this opportunity and be fast to benefit, it will be only available for 96h, after this time you only will get 4 cline ! (21/05/2014) : Skyit Primafila Quality Issue ! Since last week when SkyIT started working on Primafila channels, some weird freezing started on the other channels of this package like Cinema, Calcio and ... . This freezing issue is general and all SkyIT users are facing it. At the moment we beleive that the reason is SKYIT company kill all cards used in cardsharing because we have been affected by this attack and some of our cards has been frozen but we are working on it. We will keep you updated regarding any new changes. 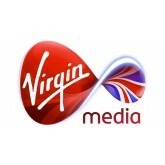 (24/04/2014) : SkyUK HD Channels Issue ! Since yesterday we have received confirmation of a few SkyUK HD channels not clearing. It seems that SkyUK is trying to do the same thing as SkyIT did last year pairing HD channels so that no one can access HD channels on Cardsharing. For the moment, a few HD channels are down and as we have been informed, more to go. It is very very unlikely that SD channels go down too. SkyUK is pairing all HD channels. At the moment there is no way around it. All SD channels are working fine and stable. (22/04/2014) : LifeTime Subscription CCcam Server! 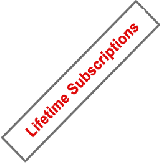 Did you heard about our LifeTime Subscription? 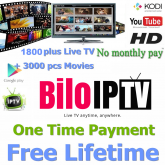 LifeTime Subscription is a new and exclusive offer allowing you to pay only one time to enjoy your TV for UNLIMITED MONTHS and YEARS, there is no MONTHLY FEES no YEARLY COST or anything else. We are doing now 50% discount for limited offer, so claim your subscription Now ! (20/04/2014) : Now onwards, We're online for Support 18 hours a Day! We have expanded our operations just to make sure you get the right information at the right time. We have increased number of people in our team and we have developed systems so that you get right information at right time which can make cardsharing process smooth. To Start with, we remain online 18 hours a day now onwards. To give you support about your orders or issues relating to cardsharing and we're just a call or chat away. With our full fledged Support Army, your queries turn into solutions and we make sure our prime motto remains fulfilled that you are well-informed! We will be updating some resources and added other cards on the servers list below. This maintenance will occur on April 18th until April 20th afternoon. Please contact our support staff if you have any issues. Thank you for everyone's patience! The package still ON BETA, 50% channels available and we will add the rest of channels as soon as possible. ORDER NOW YOUR ACCOUNT AND ENJOY ! The famous African packages DSTV on Eutelsat 36E and TVSAT on Eutelsat 16E has been added as full to our PACKAGE CCcam Africa EXCLUSİVELY IN BILOSATCCAM AND NOWHERE. ORDER NOW AND ENJOY DISCOUNT 50% off for Subscription 12 Months CCcam Africa. 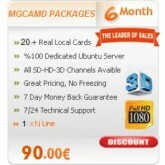 (20/12/2013) : New Servers "MGCamd" Added ! Looking for more channels to watch? much, much more? Looking for a server "stable" sharing? "Stable" very? You want to look calmly and easily your TV Transmitter without freezes or cuts or stress? You doubt that there is a sharing service as reliable as original card? You do not think there can be as many channels with a single subscription? The famous Serbia packages Pink TV on Eutelsat 16E and Polaris on Hellas Sat 39E has been added as full , as well as the Austria package AustriaSat on 19E to our PACKAGE CCcam & MGCamd EXCLUSİVELY. The result is that these channels on the decoder does not sky not visible. NTT DATA announced that it has developed a solution for Sky nominated NRT Encoding that by applying innovative processes on the compression of linear channels broadcast via satellite, it can reduce up to 40% bandwidth consumption necessary, for the same quality. The debut of NRT Encoding - with the first channel on the Sky platform transmitted thanks to new technology - is expected by June and by December 2013, the solution will be extended to other channels. "We are satisfied with the solution that we have developed in collaboration with NTT DATA as potential applications are numerous and provide us with a significant competitive advantage over other operators," said Massimo Bertolotti, Head of Innovation and Engineering, Sky Italy. "NRT Encoding is a project that has a significant value for Sky Italy has always been attentive to invest in technology, and for its innovative features, we have initiated the process to obtain the patent. " "We are partners of Sky Italy for several years and, just based on the experience made in the development dell'encoding VOD, used to offer Sky On Demand on all screens (PCs, smartphones, tablets and TV), was born l idea of &#8203;exploiting the techniques of encoding offline for a linear signal processing, "said Riccardo Ferrari, Senior Manager, NTT DATA in Italy. "Based on our research and to our knowledge, there are no similar solutions on the market today." On August 1st 2013, Al-Jazeera Sport will launch new channels, and start selling new packages. We will also be showing Barclays Premier League (BPL) football for the first time, from 17th August when the new BPL season starts. From August 1st 2013, We will add new packages to all our servers, and an advertising campaign (newsletter) will be launched in August to inform all our customers. This is expected to lead to many questions from both existing customers and non-customers. (23/07/2013) : All old cards Nova Will be stopped ! It was brought to our attention that Nova company close all old card that work in sharing and replace with new ones paired with boxes and this change will not close all old cards at 1 time will be step by step !! due this new security change one of our card has been stopped and still another one card work until now. surely you will found some servers with Nova ( some channels ) still working ! in our servers some channels still working stable (Alpha - ANT - NAT GEO WILD - Nova cinema 1 - Nova cinema 2 - Nova Sport1 - Nova sport2). but it's just question of time , a few days all old cards will be stopped , and will be available only new paired ones, till now, no solution for new cards but will do our best to make back your favorite package in our servers. (25/03/2013) : PPV (Pay Per View) Channels Available ! (16/02/2013) : Shopping with us is 100% safe! 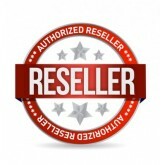 (14/02/2013) : Website Launch – 20% Off! We are excited to announce the official launch of our new website during nine years of existence in CardSharing Service! We’ve been hard at work in redevelopment, simplifying the user experience and making our products more accessible. To celebrate, we are offering 20% off on our website for any subscription to 3 Months or more (Except for Package Africa & N-line Re-Share, C-line Re-Share and Test Account) to anyone who likes our new website page – feel free to share with your friends! or We hope you like what we’ve done and welcome any feedback! (01/12/2013) : Pay 12 Months get subscription 13 Months ! We are launching a subscription promotion for contract 12 months! When you subscribe and pay for 12 Months service, we give you a 1 Month subscription free i.e. use for 13 months, offers apply to old and new customers. Sign up now to grab this sales promotion. Neither offer may be combined with any other offer and valid only for new subscription 12 Months CCcam (renewal Subscription is not concerned by this offer. Dear existing and future subscribers, upon the increase of the resharing attempts nowadays and double login account in two receiver, we would like to notify you clearly that we constantly monitor the user activities and measuring process and methods to detect the double login and are not going to tolerate any kind of reshare or any suspected activity. Such abusers will be permanently removed and banned from the system with no prior warning and with no refund eligible. Please, do not place any note in relation to your server membership on the payment of the service you use as the payment method to pay. If you would like to send a notification e-mail, do it by delivering a separate e-mail.